Prescription drug abuse statistics are at an all time high. Students in big cities are "pharming" these days. "Pharming" is new lexicon for grabbing "a handful" of prescription drugs and ingesting some or all of them. Young people steal grandma's pills and distribute them at school. 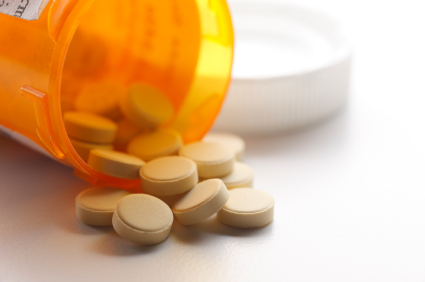 Senior citizens falsify their prescriptions for more pain medication. Babysitters take pills from cabinets. An Ohio real estate agent lost her license for pilfering pills from bathrooms at "Open Houses." Eminem, the rapper, is reported to have had the painkiller Vicodin tattooed on his bicep. These are all scenes from the latest drug frenzy-getting high (or low) from prescription drugs. The appeal is obvious. The drugs can be legally obtained, the stigma of going to a street pusher can be avoided, and the price isn't steep. There are an estimated 800,000 web sites which sell prescription drugs on the Internet and they will ship them to households no questions asked. Today, prescription drug abuse statistics show that about one-third of all U.S. drug abuse is prescription drug abuse. Why the sudden increase in prescription drug abuse statistics? Experts and students themselves point to many things spurring the increase in prescription drug abuse statistics. There's the extreme competition for college entrance, including competition for Advanced Placement and Honors courses in high school. Students talk of "dying down the pressure" with excess painkillers, sedatives, or stimulants. The abuse of the stimulant Ritalin, a drug used for attention deficit hyperactivity disorder (ADHD), is rising. Harm is not often associated with prescription drugs until it is too late. Others note that this is a culture which doesn't easily tolerate pain. An obsession with physical appearance often stokes the use of diet pills. One such pill containing ephedra recently contributed to the death of a Baltimore Orioles pitcher during spring training. Often, people don't realize that prescription drugs, if used outside a doctor's orders, can pack a very hard and sometimes lethal punch. * In 2000, 43 percent of those who ended up in hospital emergency rooms were there for drug overdoses. Nearly a half million people were there because of misusing prescription drugs. * In seven cities in 2000 (Atlanta, Chicago, Los Angeles, Miami, New York, Seattle, and Washington, DC) 626 people died from overdose of painkillers and tranquilizers. By 2001, such deaths had increased in Miami and Chicago by 20 percent. * From 1998 to 2000, the number of people entering an emergency room because of misusing hydrocodone (Vicodin) rose 48 percent, oxycodone (OxyContin) 108 percent, and methadone 63 percent. The rates are intensifying: from mid-2000 to mid-2001, oxycodone went up in emergency room visits 44 percent. * While most illicit drug abuse, particularly for middle and high school teens, began to slow or actually decline in 2002 after a half a decade increase, abuse of prescription drugs continues to climb. * Over the past decade-and-a-half, prescription drug abuse statistics show that the number of teen and young adult (ages 12 to 25) new abusers of prescription painkillers such as oxycodone (OxyContin) or hydrocodone (Vicodin) has grown five-fold (from 400,000 in the mid-eighties to 2 million in 2000). * New abusers of tranquilizers such as diazepam (Valium) or alprazolam (Xanax, called "zanies" by youth) went up nearly 50 percent in one year (700,000 in 1999 to 1 million in 2000). These medications are normally used to treat anxiety or tension. * Prescription drug abuse statistics report that an alarming 17 percent of adults over 60, wittingly or not, abuse prescription drugs. * In 2000, more than 19 million prescriptions for ADHD drugs were filled, a 72 percent increase since 1995. An estimated 3 to 5 percent of school-age children have ADHD. A study of students in Wisconsin and Minnesota showed 34 percent of ADHD youth age 11 to 18 reported being approached to sell or trade their medicines, such as Ritalin. * Among 12- to 17-year-olds, girls are more likely than boys to use psychotherapeutic drugs non-medically.